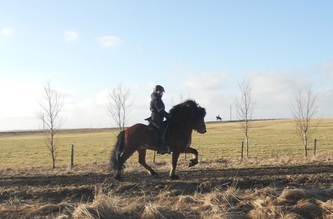 Glitnir er fallegur og efnilegur foli (geldingur). 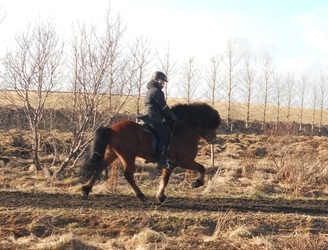 Hann er med mjög góða byggingu, sterklegur og framfallegur með góðan háls, háar herðar og mikið fax og tagl. 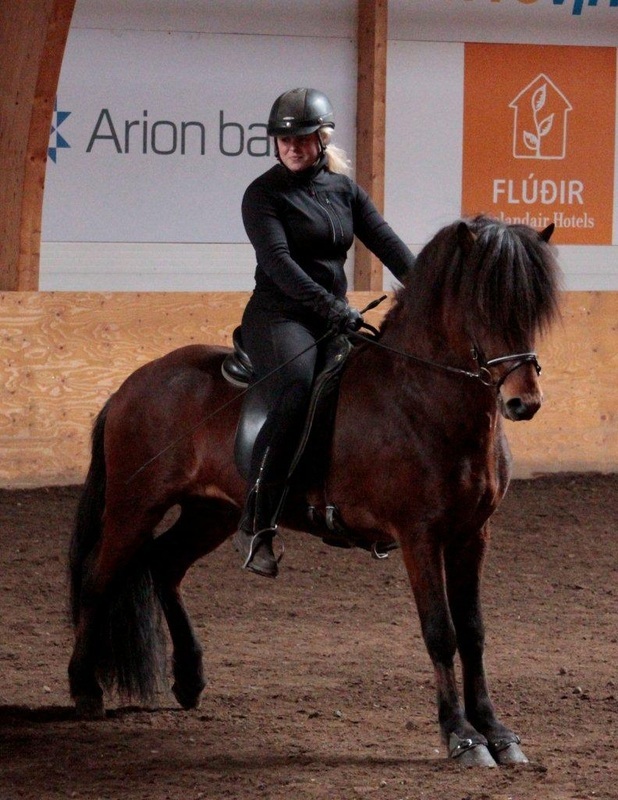 Hann er næmur og viljugur, og hann kýs töltið undir knapa, en er efni í flottan fimmgangara. 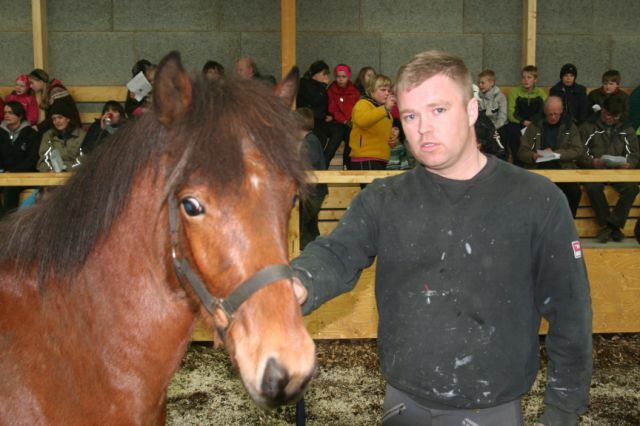 Systir hans Elja (og náfrænka) undan sömu meri og Garpi (albróðir Gaums) fékk 9 fyrir tölt og vilja/geðslag. 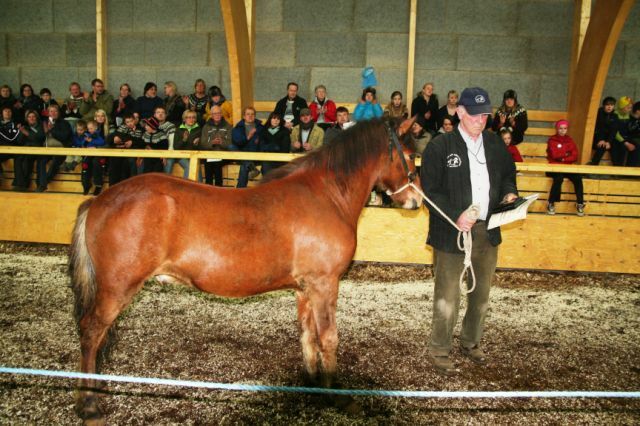 Born 2008. 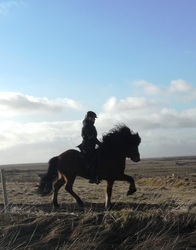 Bay with a little star. 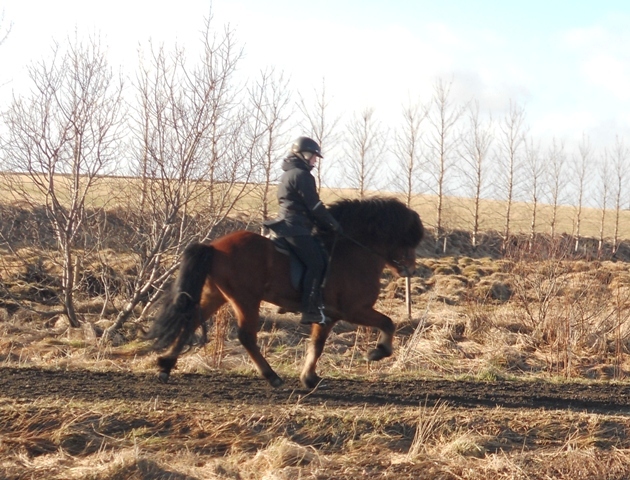 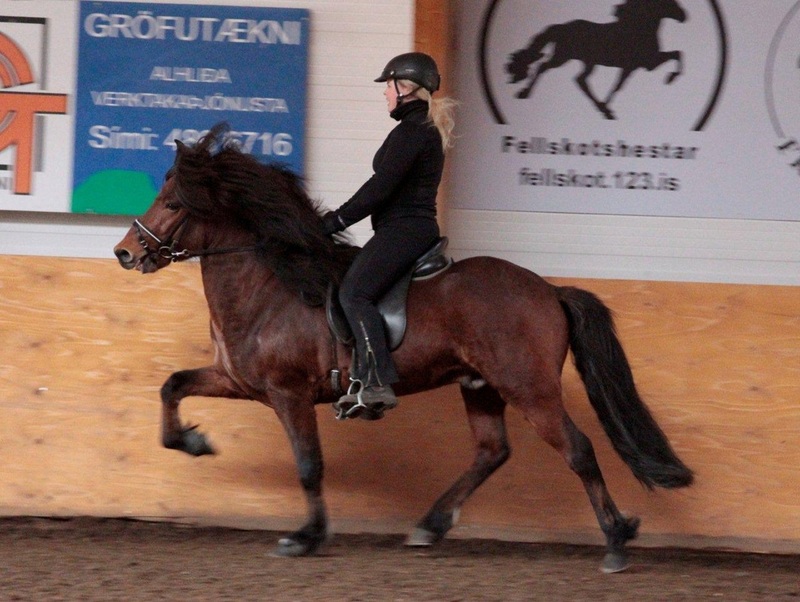 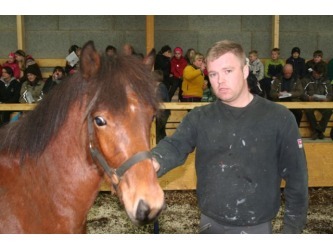 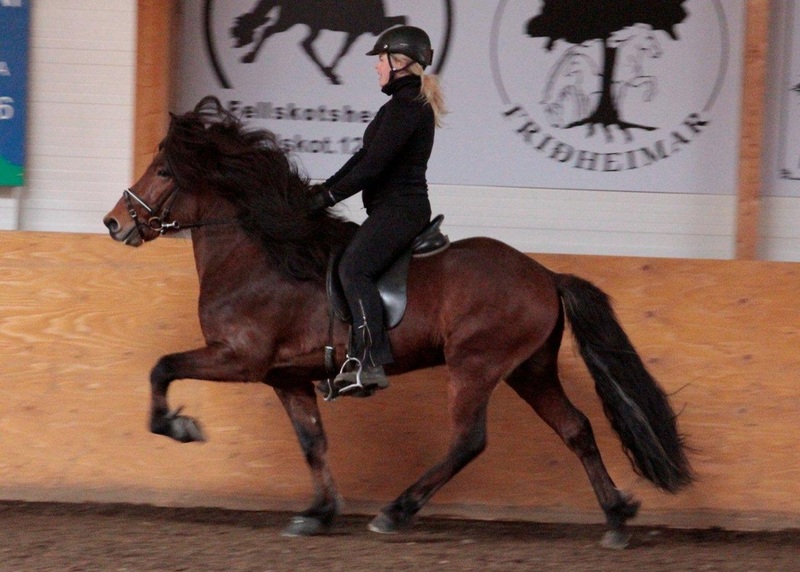 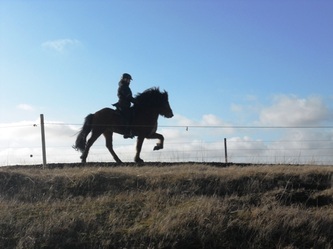 Glitnir is a very beautiful and promising young horse (gelding). 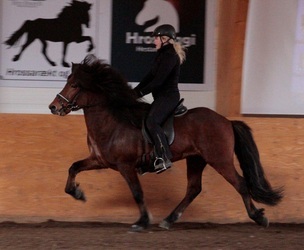 He chooses tölt under the rider, and has nice willingness. He is promising material for a good fivegaiter, or a luxury riding horse for pleasure riding. 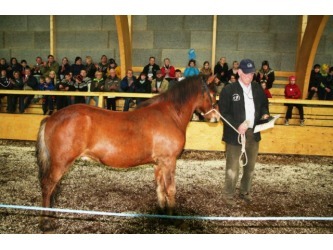 His conformation is very good, he is tall and strongly built with good joints and very good neck and withers. 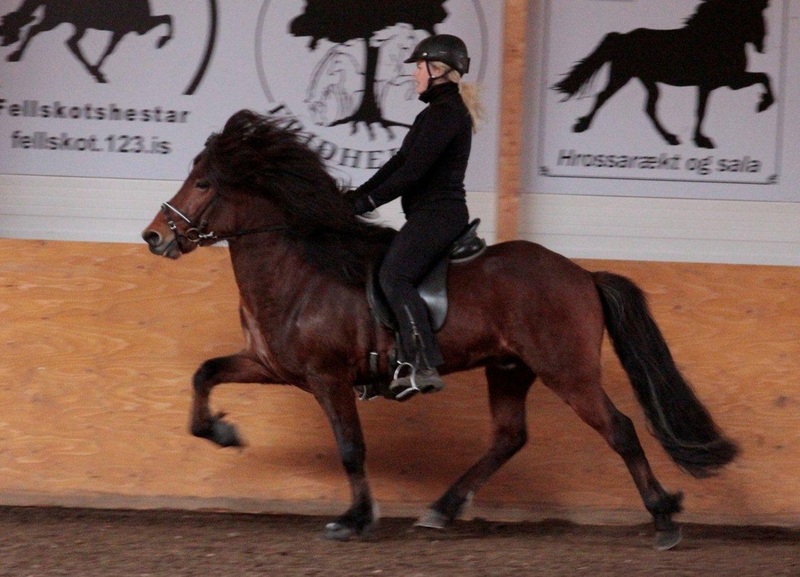 A lot of muscles, and much mane and tail. 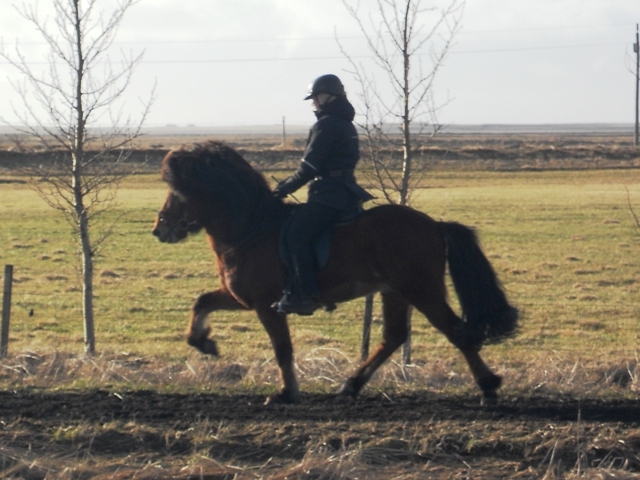 Father is the great Gaumur frá Auðsholtshjáleigu (8.69), and mother is a beautiful silverdapple mare Blástjarna frá Hrafnkelsstöðum 1 who is a daughter of the legendary Gáski frá Hofsstöðum. She has given beautiful offsprings (good neck and face expression) who are great riding horses. 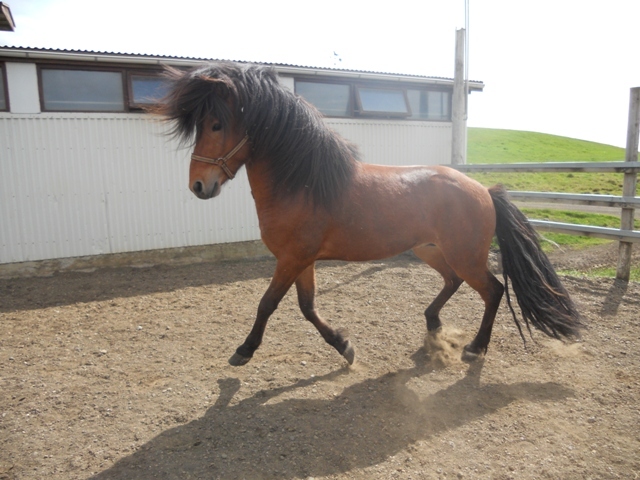 One sister of Glitnir, Elja, after Blástjarna and Garpur (fullbrother to Gaumur) got 9 for tölt and spirit!